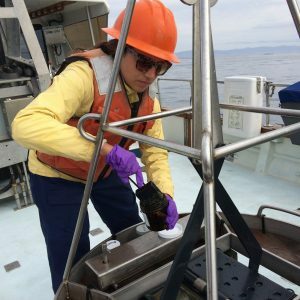 San Francisco Bay Regional Monitoring Program - Applied Marine Sciences, Inc.
AMS is instrumental in the design and management of this multi-million dollar annual program for the San Francisco Estuary Institute (SFEI) and the San Francisco Regional Water Quality Control Board. The program samples water and sediments for trace elements, trace organic chemicals, and toxicity. It also includes a bioaccumulation monitoring element in which transplanted mussels and resident clams are collected and analyzed for various chemical constituents. AMS supports program design, field program management, sample collection and quality assurance, and data management services. AMS personnel participate on several technical work groups that help manage the direction of the Regional Monitoring Program.